Hollywood is on the brink of revolution. Some-one has come up with an invention that is so radical that the lives of movie people will never be the same again – they'll now TALK!!! Quite a good thing you might think – but not for Monumental Pictures who have a crap film on their hands and a leading actress whose voice makes nails on a blackboard sound pleasant. It's up to the all singing, all dancing trio of Gene "the god of all things" Kelly, Debbie "I'm Prin-cess Leia's mum" Reynolds and Donald "I can walk up walls" O'Connor to try and save the day whilst maintaining their eternal grins and toe tapping in time to the music. This film is fabulous and anyone who hasn't seen it or doesn't want to should be shot. Yes, it may have singing and dancing in it and be that dreaded genre that is the musical, but it's just soooooooooooooooooooooooooooooooooooooo unbelievably superb. 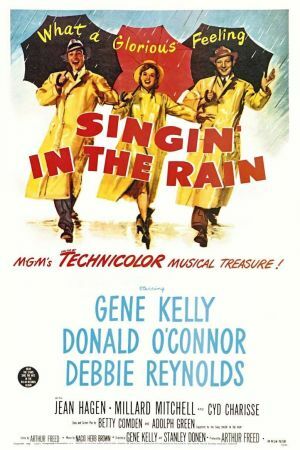 The acting is perfect, the dancing and singing are the stuff of legend and the famous singing in the rain scene makes you want to grab your nearest brolly and pray to the rain god. This was one of the last great musicals and is a very strong argument as to why the genre should never have died. But it did, and this is damn good way to remember it. 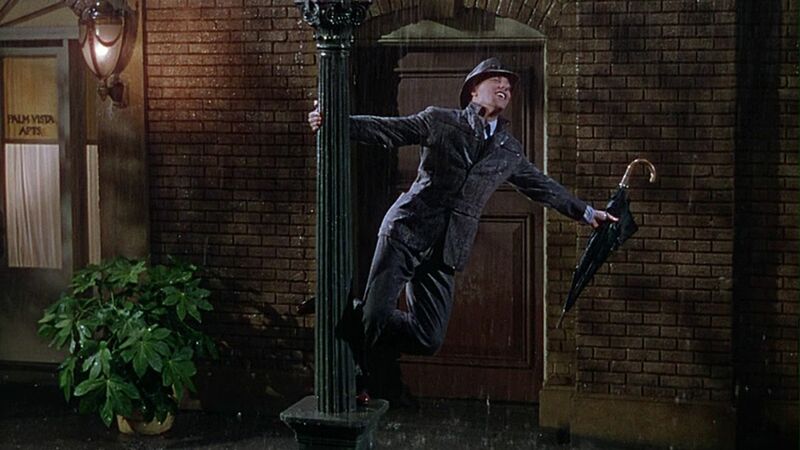 So give over a couple of hours of your life to a truly liberating experi-ence and enjoy the wonder that is Singin' in the Rain.